You can follow updates and contact us on our FB event page with questions! Fairyblossom Festival is an interactive event, where participants are invited to role-play, and otherwise engage as their costumed personas, with other participants, our volunteer staff, vendors and performers. When jurying vendors, willingness to participate at this interactive level as a character-persona and with your booth presentation will be preferential. It makes the experience better for everyone! 20. Magical Alley Handmade magic wands, which one is right for you? 24. Geeky Beads & Crafts Tutus, wands, Perler bead-art, pins, hair clips, 3D boxes, cloth bags & more! Pets: Totally welcome with Pet-iquette. 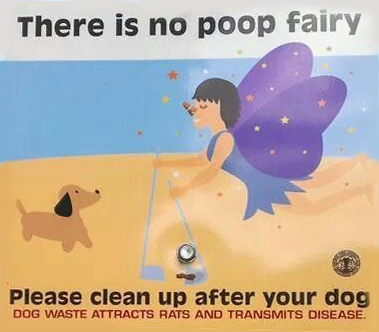 Keep them on leashes, and bring your pooper-scooper. There are wooded trails with intermittent stages, hollows, the river, and coves for the exploring and Questing. Red Hawk Avalon is WELL out of the way of the public, and secluded off the main road. The south end of the festival is banked by a creek (swim at your own risk, no life-guards will be on duty). Ground: The ground is a field of grass that is frequently used for both camping, vending and other events in general but is still likely to be somewhat bumpy, as it is in a woodland area. We recommend that you bring a tarp/carpeting to lay down below booths and/or tents for extra protection. Wind: Wind is anticipated to be little to none. Electric / Water: We are in the middle of the woods so the will be no electric publicly provided other than for our stage acts. The Meadery will have bottled water for donations. Potable water should be brought in by participants for their own use. Camping: All camping sites will be assigned as purchased. Fires: need to be contained in an above-ground fire pit, or in one of the on-site fire pits. 5 oil-drum burn barrels will be provided for community use. Security: We do intend to have radioed security but recommend any valuables be personally secured as the event is held-harmless. Personal property is the ultimate responsibility of the owner. Parking & RVs: Approved festival vehicles ONLY in the Meadow (except for set-up/tear-down). All cars and RVs will be parked outside the Meadow, in the Field on your way in. This is the beverage and table-top gaming area put on with Aesir Meadery and Stoopid Mystic Forest gaming and podcast. Here you will find a place to sit with your food, or to otherwise play all manner of board and table top games with friends.